The two golf courses at Broken Sound Club, a 5-Star Platinum Club of America, retained both their prestigious GEO Certified™ ecolabel designation as well as Audubon Sanctuary Certification for excellence in environmental planning from the Audubon Cooperative Sanctuary System (ACSS).The GEO recertification award comes just three years after Broken Sound Club was recognized as the second golf facility in the U.S. and 14th in the world to receive GEO Certification-the sustainability assurance of the Golf Environment Organization, an international non-profit dedicated to supporting sustainability in the sport of golf. It received its first Audubon Cooperative Sanctuary Certification for The Old Course in 2009 and its Club Course in 2011. The aim of the GEO Certified™ ecolabel is to support and motivate a golf facility to integrate sustainability into their day-to-day and long-term considerations, often starting with the basics, and then fostering continual improvement. It guarantees that a golf facility has met credible standards in the areas of nature, water, energy, supply chain, pollution control, and community. GEO Certified™ is widely trusted and endorsed by a growing number of organizations and people, both inside and outside golf. The GEO application process was led by Dr. Miles M. (Bud) Smart, an accredited verifier from the global network of GEO Sustainability Associates (GEOSA) and founder of The Smart Group, Inc., a consulting firm providing ecologically focused, scientifically-based sustainability services. Dr. Smart worked together with BSC Director of Golf Maintenance Shannon Easter to review the Club’s environmental and community resource performance, following the stringent criteria in line with GEO’s mission to support and recognize credible, continual improvement, and enhanced sustainability performance over time. He reported that “waste reduction initiatives at the Club are stellar,” noting that its “digestor/composter is one example of a much larger strategy that has become common place at the Broken Sound Club. The Club collects and digests all organic kitchen waste which when digested produces compost. The compost is added to soils which in turn improves soil tilth and fertility which reduces irrigation requirements which reduces the use of electricity and reduces the amount of fertilizer required which reduces the likelihood of pollution of surface or ground waters which reduces the probabilities that water quality standards will be violated, and so on.” His official GEO Certified™ Report, and the Evaluation Report can be viewed on the GEO website at http://www.golfenvironment.org/directory/228. Demonstrating a high degree of environmental quality in the management practices of environmental planning, wildlife and habitat management, outreach and education, chemical use reduction and safety, water conservation, and water quality management, both BSC’s Club Course and The Old Course received Audubon Cooperative Sanctuary recertification. The in-depth ecological assessment tour led by BSC’s Easter and conducted by local Audubon representative Mike Hamilton of Golf BMP Solutions evaluated the Club’s comprephensive environment management program strategies including: lake management, irrigation management, water conservation, water quality, pest management and chemical use reduction of environmental management practices. 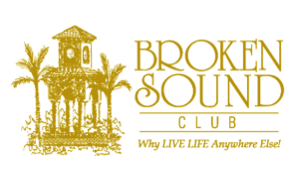 In conclusion, Bethel reported that “Broken Sound Club has shown a strong commitment to its environmental program. They are to be commended for their efforts to provide a sanctuary for wildlife on the golf course property.” Broken Sound Club is one of 115 Audubon certified golf courses in Florida and 903 golf courses from the United States, Africa, Australia, Central America, Europe, South America, and Southeast Asia. Learning of both GEO and Audubon recertifications Easter reflected, “The most satisfying part of my department’s efforts to enhance wildlife at Broken Sound Club is experienced while sitting on a quiet part of the golf course in the early morning, and just observing all the birds, amphibians, and mammals flying, running, feeding, playing, and just living. It’s from that view, I realize just how much our efforts play a big part in the wildlife on the property. On any given day, golfers get the opportunity to play amidst a memorable eco wonderland; many love catching a glimpse of an American Kestrel, Osprey, Red-winged Blackbird, Sharp Shinned Hawk, American Alligator or Red Stripped Mud Turtle.